The annual Total Politics awards are now open for voting. If you have enjoyed Conor's Commentary over the last year, please vote for this blog and blogger. 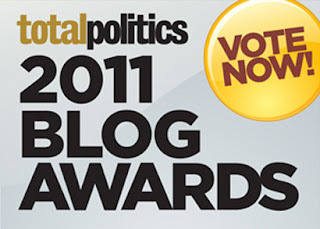 In any case, do vote for your favourite blogs so there is a good turnout. You can vote here.